Capture the charm of this newly built 2018 home. Corner Lot with exceptional curb appeal. This 3 Bedroom, 2 Bath, 2 Car Garage home features an open floor plan. Granite countertops complement the kitchen and both bathrooms. Soft close cabinets, stainless steel appliances. Interior utility room includes a laundry tub. Class "A" 30 year fiberglass shingle roof. Screened in Porch. Owner added the following additional upgrades: Gutters and Downspouts, Glass Bath/Shower Doors, Window Treatments, Privacy fence with gate entry to store Boat/RV. Beautiful landscaping with irrigation system. There are No HOA fees. 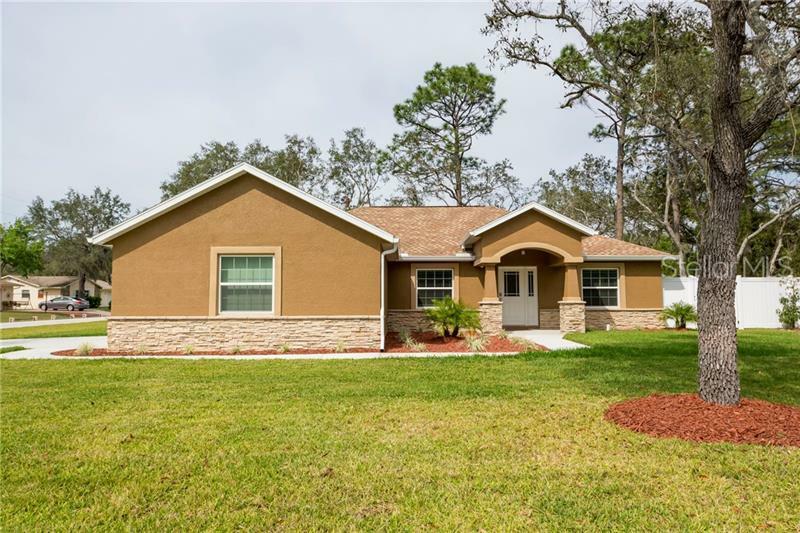 Great location to US 19 and the Suncoast Parkway!